SAN DIEGO, Calif. — Dark Horse is excited to announce the newest Serenity series, Serenity: No Power in the ’Verse. Originally created by the legendary Joss Whedon (Buffy, Angel), Serenity begins its next chapter with a story written by Chris Roberson (iZombie, Witchfinder: City of the Dead) and illustrated by Georges Jeanty (Buffy Seasons 8 and 9, Serenity: Leaves on the Wind). Serenity: No Power in the ’Verse writer Chris Roberson will sign on Thursday, July 21, 2016 from 1 p.m. to 1:50 p.m. on Dark Horse's Hellboy signing stage, and on Sunday, July 24 from 11 a.m. to 11:50 a.m. Serenity creator Joss Whedon will host two signings on Saturday, July 23 on Dark Horse's Hellboy signing stage. 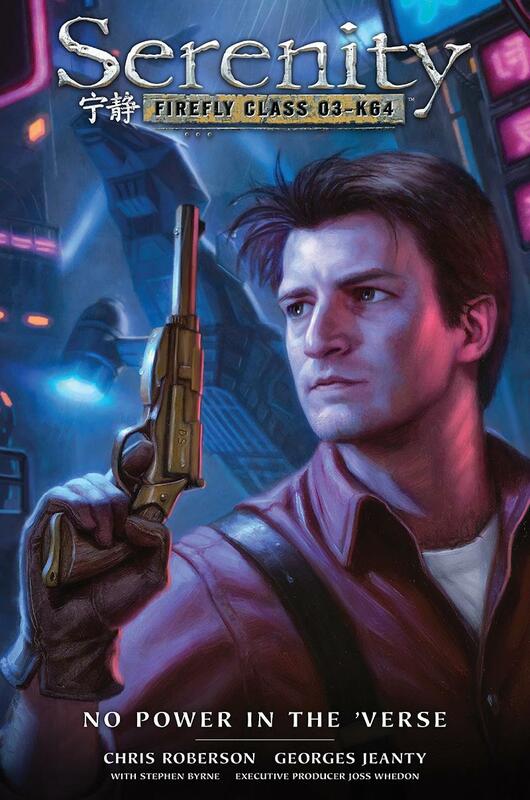 His first signing is from 5 p.m. to 5:50 p.m. His second signing is from 6 p.m. to 6:50 p.m. Firefly and Serenity cast members Nathan Fillion and Alan Tudyk will join Joss at this signing.